The best person to fight the monsters is someone who&apos;s been one. When a violent mob invades cop Alex MacCallum&apos;s part of town, it&apos;s just a typical night for him and the others living there. They expect to be feared and despised - they&apos;re survivors of the virus that turns its victims into mindless flesh-eaters. 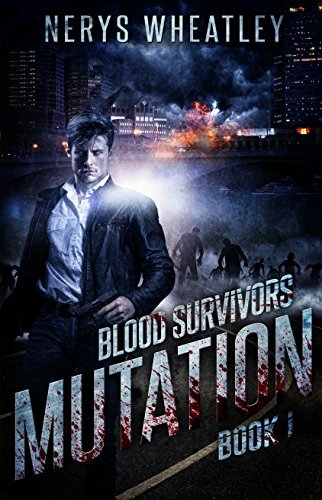 Mutation is the first book in a fast-moving, action-filled series that turns the zombie apocalypse on its head. If you like thrilling, original sci-fi, you&apos;ll love the Blood Survivors series. Forget the poorly acted movies and the comic books. Forget the endless debates over fast and slow walkers. From this day on, all that crap will fade away to nothing. America is on the precipice of hell and not for a moment do you believe it. You have your cable and your smartphone and your take-out twice a week and your vacation to Disney Land all planned, and you tell yourself you&apos;ll drop those ten pounds before you go. But you aren&apos;t going anywhere. In one horrible day, your world collapses into nothing but a spitting, cursing, bleeding fight for survival. For some, the descent into hell is a long, slow, painful process of going at it tooth and nail, while for others it&apos;s over in a scream that&apos;s choked off when the blood pours down their windpipe. Those are the lucky ones. But you will live, somehow, and you&apos;ll remember day one of the apocalypse where there was a chance, in fact, there were plenty of chances for someone to stop it in its tracks and you&apos;ll wonder why the hell nobody did anything. At first light on that first morning, Dr. Lee steps into the Walton facility on the initial day of human trials for the cure she&apos;s devoted her life to; she can barely contain her excitement. The labs are brand spanking new and everything is sharp and clean. They&apos;ve been built to her specifications and are, without a doubt, a scientist&apos;s dream. Yet even better than the gleaming instruments is the fact that Walton is where cancer is going to be cured once and for all. It&apos;s where Dr. Lee is going to become world famous...only she doesn&apos;t realize what she&apos;s going to be famous for. By midnight of that first day, Walton is a place of fire, of blood and of death, a death that, like the Apocalypse, is just the beginning. 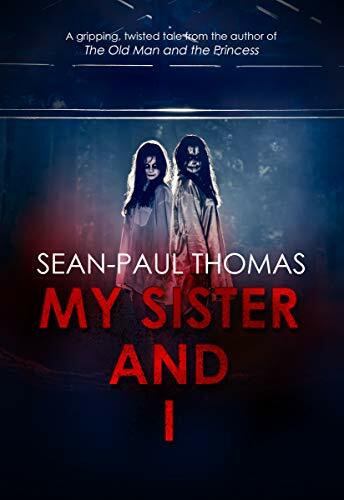 A young teenage girl and her twin sister must grow up hard and fast in the unforgiving Scottish Highlands as their father - a sick and twisted man, obsessed with the end of the world - teaches them how to survive in the wild with no one to rely on but themselves. An ordinary man. An age old evil. 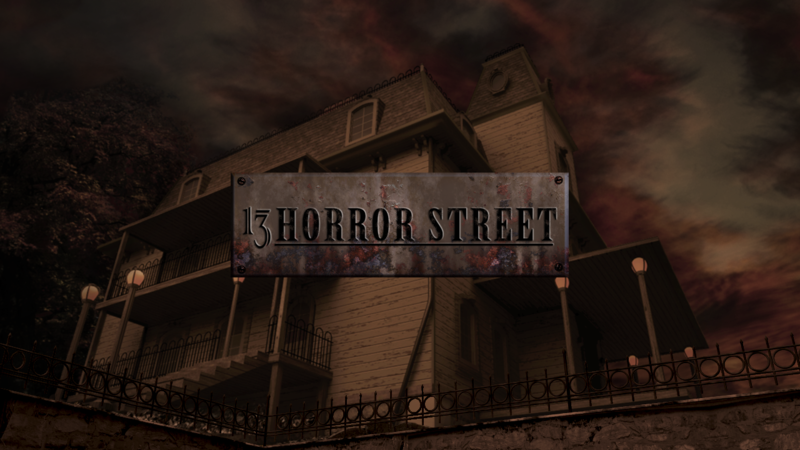 A blood soaked nightmare with no escape. 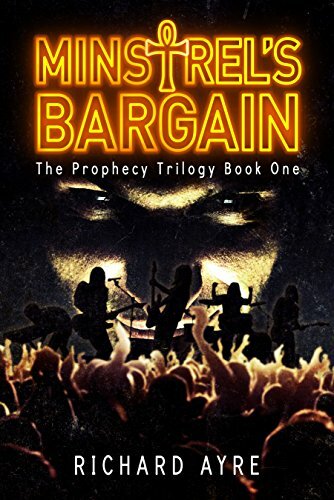 When reporter Phil Sturgess hears of a new rock band called Minstrel's Bargain, his life descends into horror. As the city he lives in succumbs to ever more violent and macabre episodes of shocking murders and barbarous acts of self-destruction, Sturgess begins to understand that there is something very wrong with Minstrel's Bargain. Something very wrong indeed. With time running out for humanity, Sturgess is threatened with an ancient malevolence. And to stop it, he is forced to confront the terrifying stranger who has been dogging his footsteps for months. The only question is; will Sturgess do what needs to be done? If not, the souls of millions will be destroyed. In hidden places, they sleep and dream, and through their dreams they touch humanity--but their touch brings only the stains of horror, death, and madness...until the day the Old Ones return. 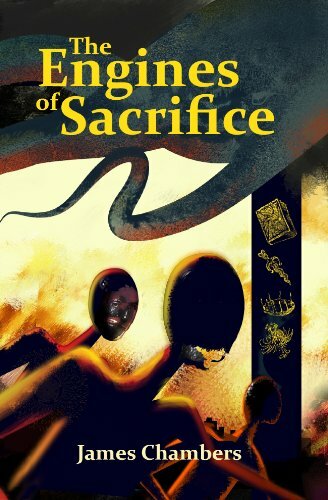 In The Engines of Sacrifice, acclaimed writer James Chambers delivers four nightmare novellas inspired by the Mythos of H. P. Lovecraft. Investigation 37: In the late years of the Vietnam War, Lavender May runs away from home to search for freedom and peace in New York City, but instead, she finds only a world of magic, witchcraft, and lies. The Ugly Birds: Only one thing could save Carmine Darabont's comics magazine from going under: publishing the next chapter of the hit series "The Otherworlders." But what dark secret drives its creator--Carmine's ex-fiancé--to refuse to deliver it? The Hidden Room: At the height of the Cold War, Doctor Calvin Lenox is a member of the Nuclear Emergency Search Team. With his life spiraling into despair, he confronts the mystery of a runaway Soviet defector and the death of three men, only to find himself at the mercy of...the Faceless God. The Engines of Sacrifice: What is the power of words? Can they control the fabric of reality? 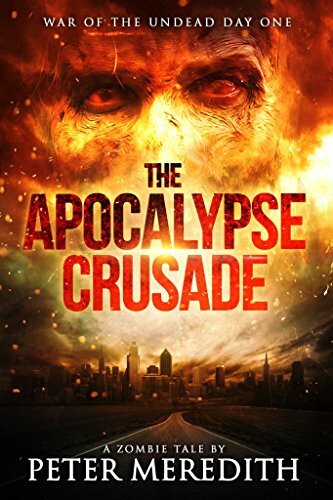 In a horrifying new world, underground author Rowley Cray struggles against a totalitarian government gone insane and the possibility that he can control the souls of the dead. Dark Regions Press presents The Engines of Sacrifice by James Chambers as part of Dark Regions Digital. Browse all of our digital titles by searching for "dark regions digital" or "dark regions press." Chambers (Resurrection House) draws readers deep into H.P. Lovecraft's Cthulhu mythos with chillingly evocative writing and the clever integration of real-world events. Four interlocking stories take place at least in part in the Long Island town of Knicksport, where portals open into the uncanny dimensions inhabited by the elder gods. Could the emergence into our world of Azathoth, Shub-Niggurath, and Nyarlathotep be tied to the Wiccan enthusiasm of the 1970s, the strong presence of horror themes in 1980s indie comics, or the "accident" at Chernobyl? Can Cthulhu be reached through the transformative powers of fiction? Chambers's damaged characters cling to hope even as the world comes apart at the seams, making the insanity and despair of their circumstances poignant as well as deliciously creepy.